"Get a taste of the Crackdown 2 Premium Toy Box Pack with this free preview! Wreak havoc with Vehicle Tag and an expanded Keys to the City mode and play co-op with players who have purchased the Premium version." 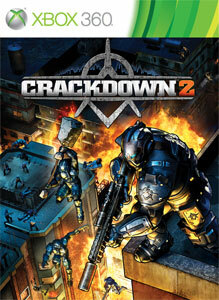 "Expand Crackdown 2 with the Toy Box Pack! It's bursting at the seams with extra toys and treasures, including an expanded Keys to the City mode, the ATV Assault Vehicle, the Squad Chopper, Suit Thrusters, new Agent armor colors, and a Vehicle Tag game, just to name a few. The Toy Box Pack is packed so full it would take a Level 5 Agent to hold it closed!"